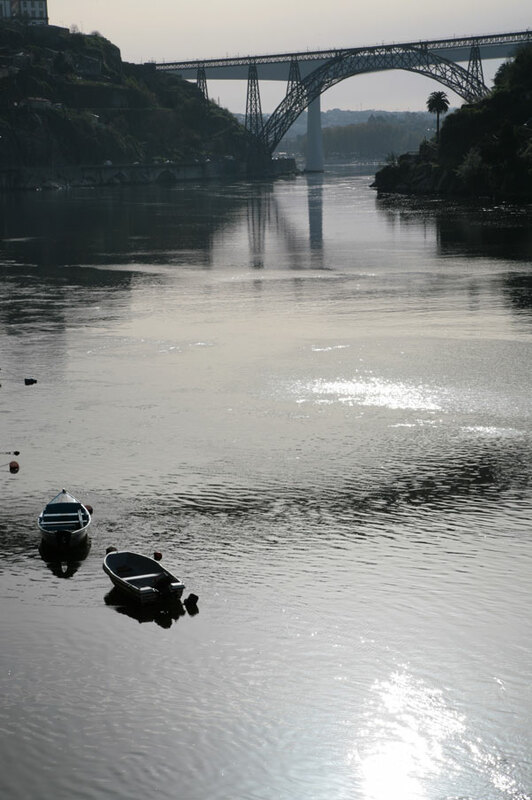 Looking up the River Douro as it winds its way through Porto. The first bridge is Gustave Eiffel's Dona Maria Pia bridge. Completed in 1876, the iron railway bridge is named after the wife of Dom Luis I (the name of Porto's most famous bridge). The bridge was taken out of service in 1991.